We live in the Chicago area. Driving is not the first thing that comes to mind when I think of meditation. It would be a very long list before driving in Chicago might make it in relationship to meditation. 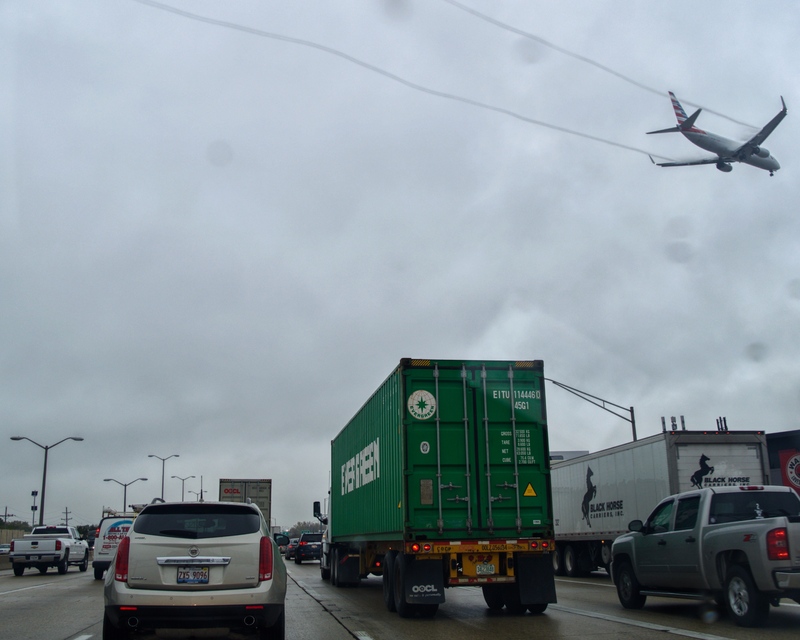 Yet it is precisely in moments like driving in Chicago that mindfulness practice is essential. “Can you by worrying add a single hour to your life?” Matt6:27 God is there already. God is with you now. When I consider chaos (Chicago traffic, for example) I am reminded of the genius artists apply to the chaos of media, of possibilities and expressing beauty, ascribing meaning through the chaotic elements. The technique I want to guide you through today is basically a Visio Divina (divine vision – art) meditation you can practice anytime but also apply to what you see while in traffic. This one refers to the Icon of the Madonna, and all of this will be on the website, eirenicole.com. By practicing visual prayer, meditation in sight, it becomes easier to see into the landscape no matter the contents, evidence of God’s presence. Imagine the glare of the sun off of the sea of windshields ahead as the “quiet luminosity of the Holy Spirit within the traffic – constantly renewing and creating life out of chaos.” Breathe. Henri Nouwen reflects: “Acting, speaking and even reflective thinking may at times be too demanding, but we are forever seeing.” As one might use the icon as a guide gaze at the image with an inner eye to see what the iconographer is communicating, take in the side of the road or highway. With an inner eye, see: “All features…tell the story, but on different levels, and like the trees and mountains, bow down to the Lord.” So the highway paves the way to the space you will occupy, the people with whom God is already present. Breathe. Though you are an individual in a vehicle amid countless other individuals in a vehicle, this trek is communal, all driving to somewhere with their own stories and dreams. The beginning of communal transformation starts with you and me just being, dwelling in that house of love, the temple of the Holy Trinity. Quiet your soul, make space as you drive for the Trinity to commune, be revealed in this car. An icon is meant to exert a calming influence, to allow the viewer to step free for a moment from all the concerns of everyday life, to abide in awe-filled attention. “The large eyes, small mouths, and thin noses of Christ and His saints are common features in iconography and represent the refining of the senses away from a materialistic vision of the world towards a spiritual one.” Notice the lines of the cars, the variety of colors along the panels, gaze for a moment on the skyline of the city, or housetops of the neighborhood. Breathe. As you are enclosed in this vehicle for a time, hear the words of Julian of Norwich: “When God was knitted to our body in the Virgin’s womb, God took our Sensuality and oned it to our Substance. Thus our Lady is our Mother in whom we are all enclosed and in Christ we are born of her. And Jesus is our true Mother in whom we are endlessly carried and out of whom we will never come.” Be grateful. Keating, Thomas. “Notes from a Deep Conversation.” Contemplative Outreach: Silence, Solitude, Solidarity, Service – News 31, no. 2 (2015). Nouwen, Henri J. M. Behold the Beauty of the Lord: Praying with Icons. 1st rev. ed. Notre Dame, IN: Ave Maria Press, 2007. 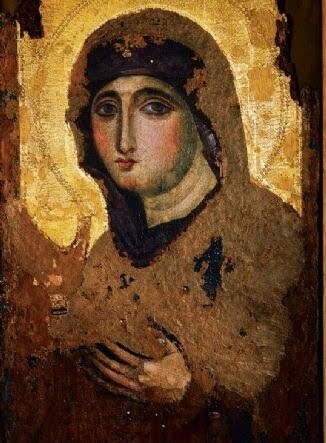 Henri J. M. Nouwen, Behold the Beauty of the Lord: Praying with Icons, 1st rev. ed. (Notre Dame, IN: Ave Maria Press, 2007), 62.